"MY 90 DAY STEP-BY-STEP SYSTEM TO DEVELOP FLAWLESS MECHANICS FOR A PERFECT JUMPSHOT"
"Now I Can Consistently Shoot 90% From The 3-Point LIne"
"When I first started I was struggling from the free throw line but within 3 months, Coach Faizal completely fixed my form and now I can consistently shoot 90% from the 3 point line. I’ve gone through a lot of programs and trained with a lot of different professional coaches for years, but within a week of meeting Coach Faizal, he knew exactly what needed to be fixed." Get deadly accuracy, maximum range, and a lightning quick release. Skyrocket your shooting consistency and percentage in record time. 7 total modules. 55+ total videos. SPECIAL OFFER: When you join today, you'll get forever free access to all updates to the training program. Once the program is complete, the price will never be this low. What if I'm completely new to shooting? This training is especially valuable for you if you're a beginner. The purpose of this program is to get your mechanics to pro level. As a shooting coach, it is much easier to train someone who has never shot a basketball before, or has very little experience shooting a basketball. Why? Because building new shooting mechanics is easier than breaking old ones first. Which means if you haven't built any bad shooting habits already, you'll become a lights out shooter in a very short period of time with the techniques in this program. What if I'm already a great shooter? Unless you're shooting at 95%, I guarantee you will get something out of this program that will help you increase your shooting consistency, accuracy, speed, and range. Even if you just get one small range-boosting technique, that will stay with you for the rest of your basketball career, getting this program will be worth it. If you get nothing out of this program, feel free to ask for a refund. But give it a try at least. I'm sure you'll unlock new pro-level shooting mechanics that you never imagined existed within you. Why are you releasing this program early before it's complete? 1 - It takes time to make all the videos, but that doesn't mean you should have to wait before you start training your shot. You can get access now to over 20+ videos and as new videos are added, you can continue perfecting your form. 2 - Since you're joining early and the program isn't officially complete yet, this gives you, our student, a voice in shaping the videos and programs with your feedback and comments. You want a specific kind of video? We'll add that in. But if you join after the program is already complete, we can't guarantee we'll be adding more videos. 3 - This is our way of giving back to those who support us early. Enjoy the huge discount while it's available for a limited time! How will I get access to the training program? 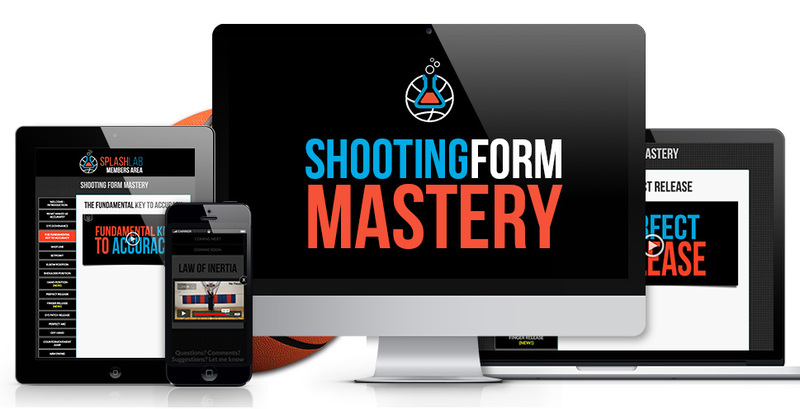 Once you click the add to cart button and make a payment, you will be taken to the private registration page where you will register your username and password to login to the Shooting Form Mastery Member's Area. Then, a login link will be emailed to you and you'll have access to all the videos in the program!